We found this place in Truth or Consequences New Mexico. It's called Latitude 33 and it quite yummy. 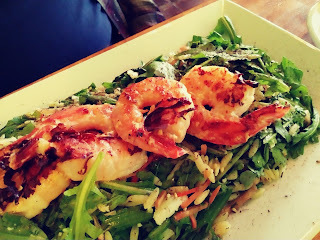 This was an orzo salad with grilled shrimp. It was just beautiful. 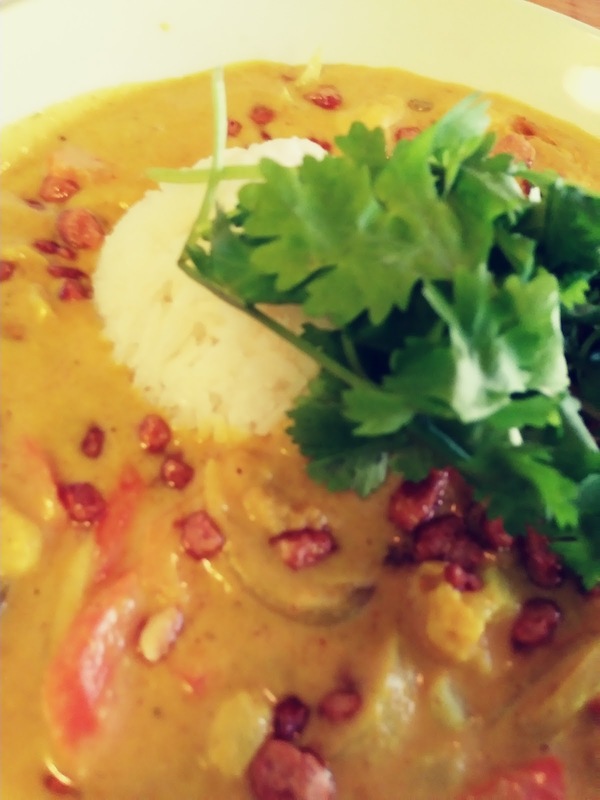 My dish was a yellow curry with golden raisins and candied pecans. So yummy!